When Shane Blodgett and I made plans to bird for most of a recent day our main objectives were to find migrating Nelson’s Sparrows, good lingering shorebirds, and any scarce-for-New York birds that might have been fattening up at coastal sites in Brooklyn or Queens before continuing on their migration. Shane was kind enough to drive from his home borough of Brooklyn to pick me up pre-dawn in Queens, and backtrack to our first stop, Plum Beach, Brooklyn. Plum Beach is an odd and wonderful place. 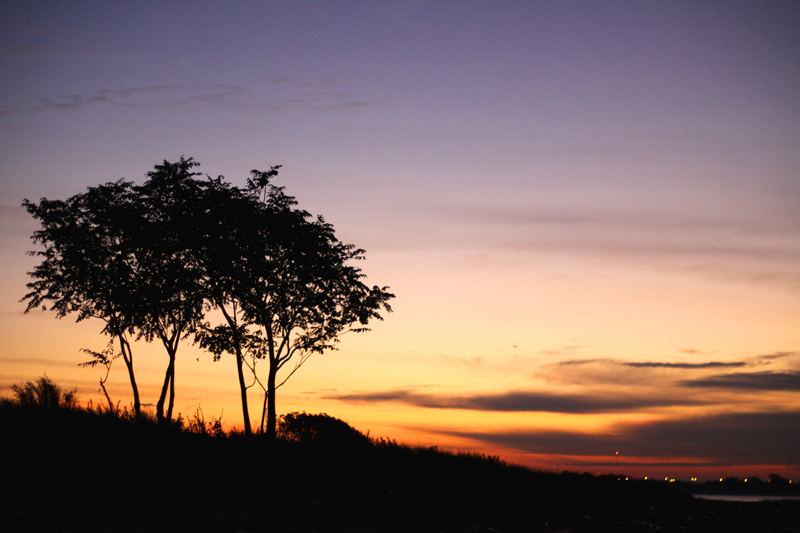 It is accessed from a small parking lot on the east-bound side of the Belt Parkway, a parking lot that has to be closed overnight because of the tendency of men to cruise there. Several of the trails are littered with used condoms and condom wrappers and there is a generally skeevy feeling to the entrance. But once one gets away from the parking lot and out onto Jamaica Bay, for Plum Beach is west and north across the bay from the famous wildlife refuge, the skeevy feeling goes away and one is very happy to be out and about. Especially when one arrives just as the light of the sun is starting to make the eastern sky gorgeous, as you can see from the above picture. We had timed our arrival, however, not by our current position on earth vis-à-vis the sun, but by the tide’s position, which was dead low. 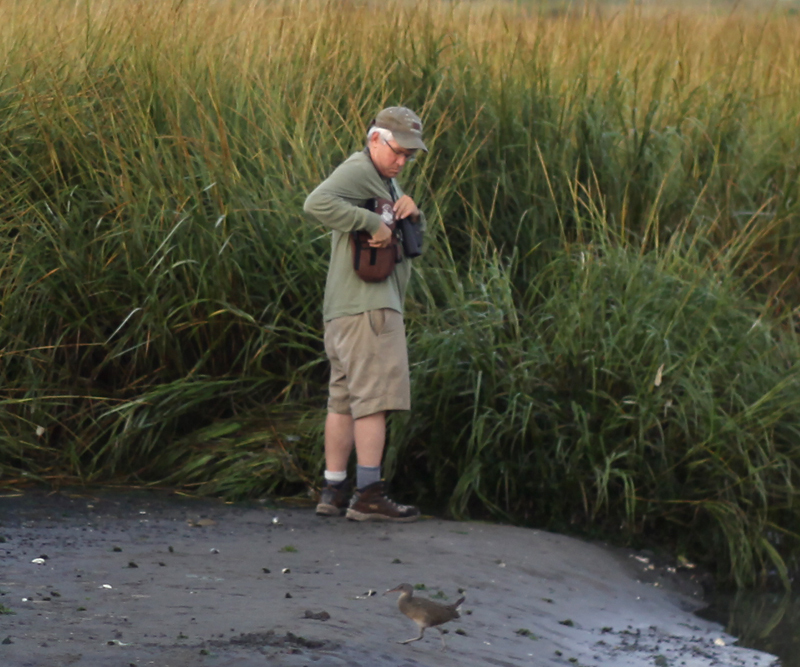 You see, we wanted to get into the saltmarsh at Plum Beach to get good looks at Nelson’s Sparrows, which was only doable without a boat at low tide. 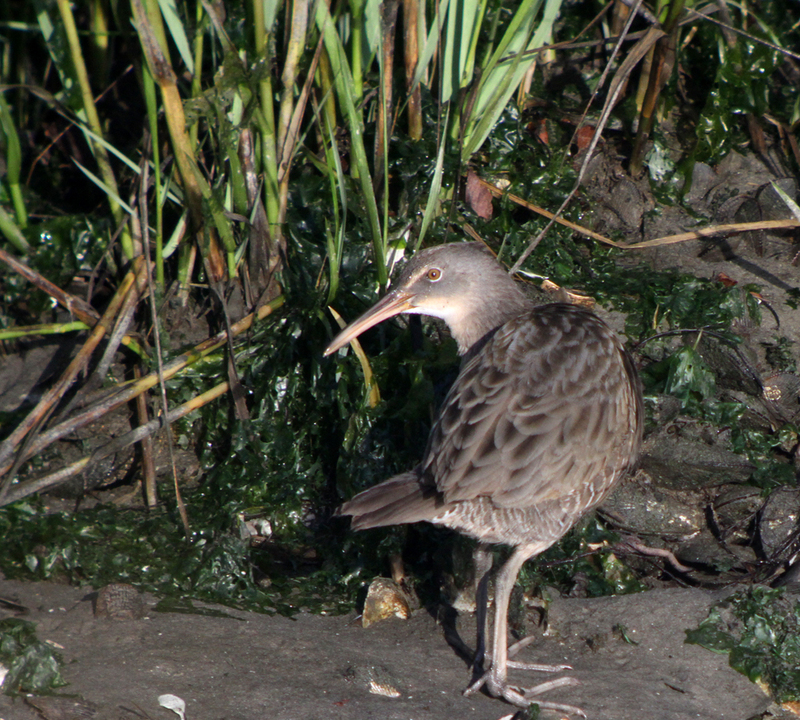 As we waited for our sparrows to awaken we noticed first one, then two, Clapper Rails. Though there wasn’t much light I did the best I could to get some shots, and was just thrilled that we were getting such clear, close, and unobstructed views of Rallus longirostris. 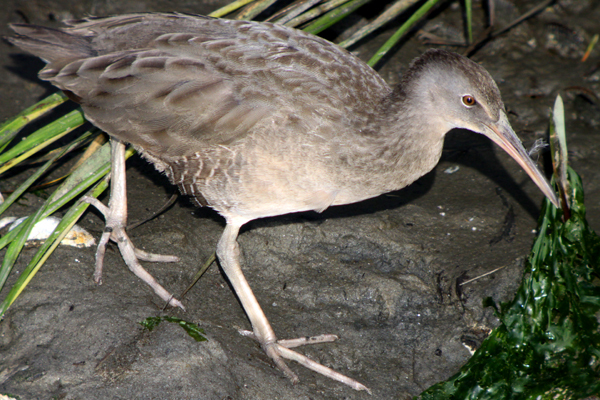 It didn’t take long for one of the rails to scamper off into the reeds, but the other stuck around and, in fact, kept getting closer. 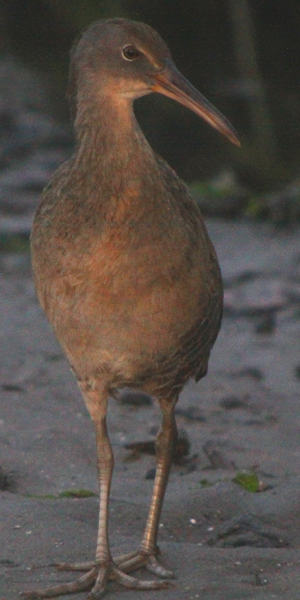 While I digiscoped away and just generally had a ball watching the most cooperative Clapper Rail I have ever seen Shane kept looking for sparrows. 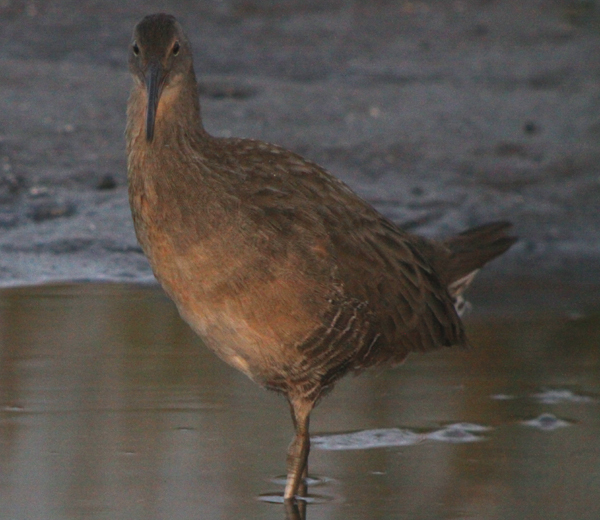 The Clapper Rail, though, was looking for Shane. After a brief staredown, Shane went back to searching the reeds so he didn’t immediately see the rail making an amphibious assault on his position. 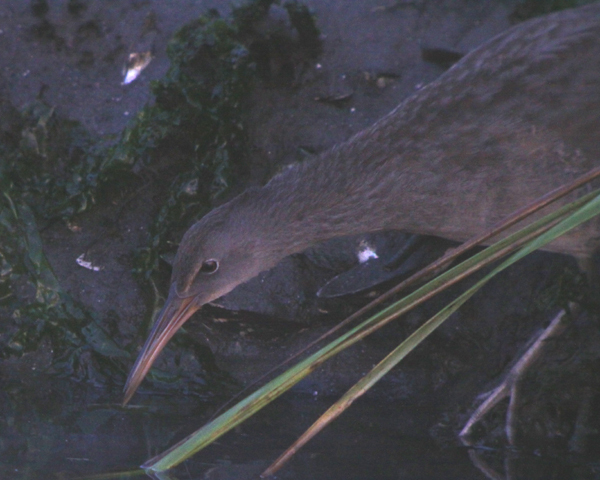 Fortunately, Shane did manage to get his point-and-shoot camera out and he got some video of the rail foraging in a way neither of us had seen a rail forage before. Check it out in the video below (you’ll also get the auditory joy of the hum of traffic on the Belt Parkway and a jet flying into JFK Airport). 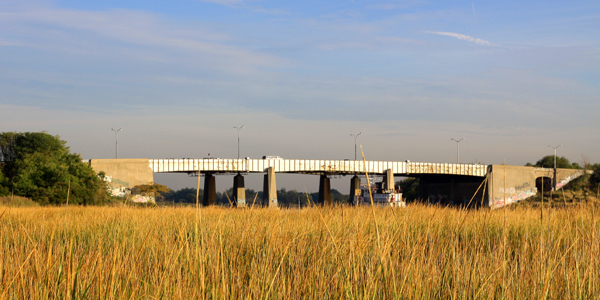 Before the video, though, a shot that shows just how close the saltmarsh at Plum Beach is to the Belt Parkway. 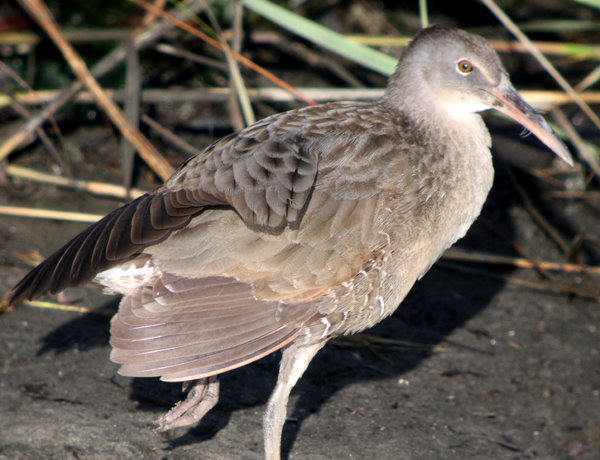 It is the ambient noise (and a political internet meme) that led to the “Clap Louder!” part of this post’s title and I am actually curious as to what, if any, effect the constant highway and jet noise has not just on the rails but on the other nesting birds in the marshes of Brooklyn and Queens. Does anyone out there have any idea? 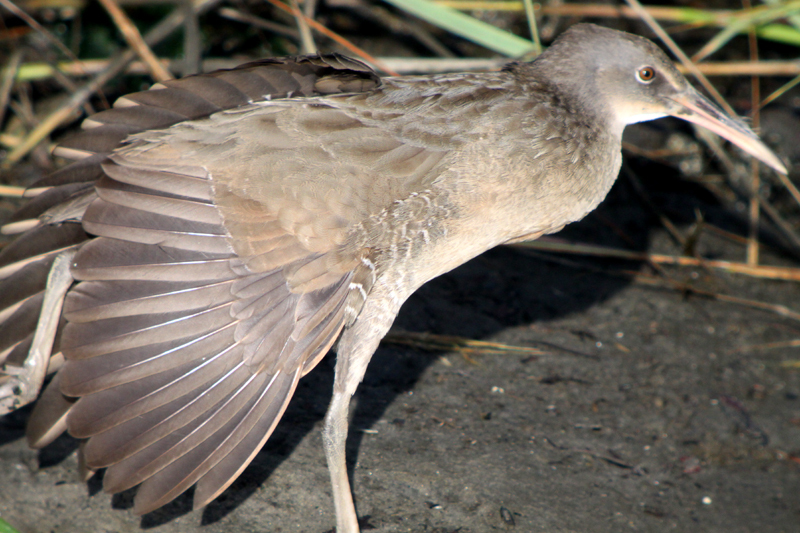 Just judging by the number of Clapper Rails that I tend to see and the general fecundity of the marshes I visit it seems that the birds manage to adapt but I would like some empirical data. While Shane and I both felt like giving the cooperative and confiding Clapper Rail a loud and lengthy round of applause we had sparrows to see, so we saw our sparrows. 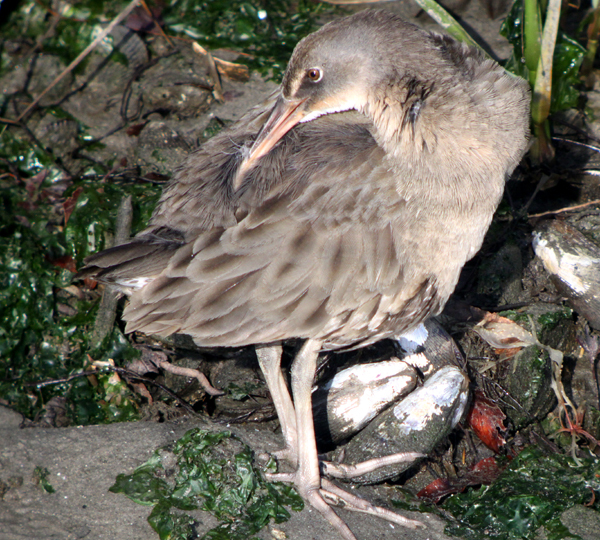 Then we spotted the rail (or perhaps another one) again, and watched it for quite awhile. This time we had more light at our backs because the sun had risen and become much stronger (which means, of course, that I overexposed a lot of the shots that I got). And, finally, one last shot, just to make sure that people appreciate the abundance of riches that is New York City birding. Down in front! This post has been submitted to Bird Photography Weekly #110. Go check it out! haha! What a great story! And great pics, too! 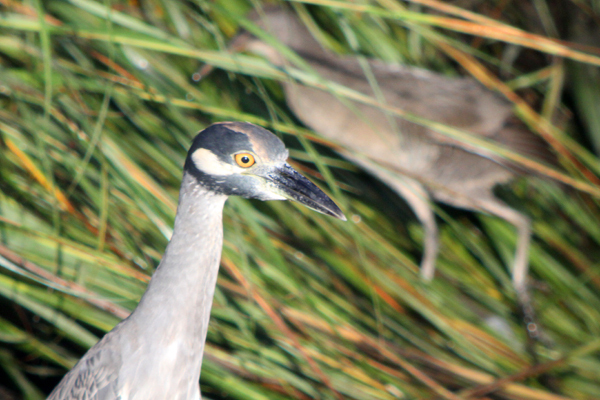 Black-crowned Night-heron, what else, and a lousy photoshop-job as well. eh? Let’s try that ID again. @Ricchard: Jochen has a longstanding belief that Yellow-crowned Night-Herons don’t exist. Sadly, it is starting to effect his mental health. @Corey: I’ll stay a dark piece of bitter chocolate because a) your link can only be viewed within the USA and b) chocolate has never gotten anyone a nemesis bird (although it might have made it easier to cope with the pain, oh the pain). @Riccard: well, Corey might have mentioned it in his comment but I have failed to find what some people call “Yellow-crowned Night-herons” on so many occasions that I have decided to simply deny the species’ very existence. And look at Corey’s image. That’s a BLACK crown, right? Ain’t it?? Well, there might be some brown as well, but essentially there’s no yellow. wow what a great series of shots! 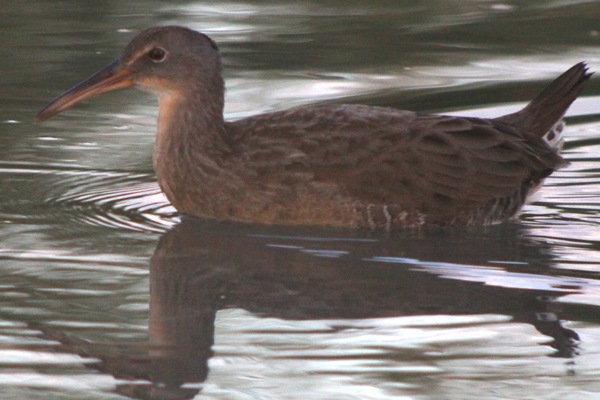 Nice shots of the Clapper Rail. I think there are some studies on the effect of urban areas on breeding birds, but they mostly involve songbirds. I think the two main effects are that light pollution disrupts their circadian rhythm and ambient noise selects for birds that sing more loudly and at a higher pitch. (If this holds true for the marsh birds, the rails really would need to clap louder.) There are also more predators, and probably more toxic materials. @John: I have often investigated or rather evaluated the effect of industrial noise (mostly traffic noise)on protected species – mostly birds. One stratling revelation was the fact that reeds make a HUGE amount of noise even when there is just a very light breeze, and that it is nearly impossible to hear the nearby traffic noise even in near-calm conditions due to the rustling of the reeds. The Clappers therefore have to clapper really loud anyway. Unlike Jochen, no problems with the heron, but I’m beginning to believe the rail doesn’t exist. Oh that was simply amazing for you to be so in touch with and in tune with these birds is really quite amazing!!!! I’m so glad I found this blog!!!! What an amazing internet adventure!!! Thanks for all your hard work!!!! I loved the narrative as much as the beautiful photos. Thank you for a most beautiful and informative post. 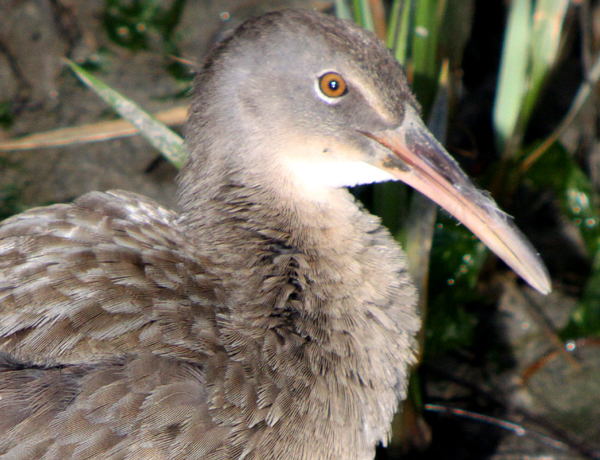 Awesome shots of the Clapper Rail and the (ahem) Yellow-crowned Night Heron Corey! I have never heard of any rail exhibit behavior like this. Walking around crazed birders with cameras clicking away as if they were runway models or something. Great video too, BTW. I really enjoyed it! Where Are You Birding This First Weekend of October 2010? I and the Bird: What is a Grebe?